The International University, VNU-HCM aims to become one of leading research-oriented universities in Vietnam and in ASEAN by 2020, an educational institution establishing reliable cooperation with pretigious educational and R&D organizations in the world, with enterprises, provinces and society in Vietnam. Attracting talented staff by offering a competitive salary policy and research time for their concentration on research. Granting awards to high quality R&D accomplishments; for example, awarding an average of 1.500 USD to authors who surpass The University’s requirements in publishing ISI journal articles, the prizes “The Scientific Research Unit of the Year” and “The Lecturer of the Year”…. Attracting a number of projects and R&D grants from national funding bodies, enterprises, provinces, and many other domestic and international organizations. Providing the staff with some expenses on participating in conferences and workshops. The University has been creating a positive environment to promote high quality R&D activities; attracting more and more leading professors and PhD holders who have experiences and strong capacity in doing research from prestigious universities in the world. The current percentage of PhD holders is more than 60% out of the total faculty. The University has invested in constructing and establishing more than 14 modern laboratories for teaching and research in various fields, including Molecular Biology, Protein Technology, Biomedical Engineering, Integrated Circuit Design, Embedded System, Physics, Micro Mechatronics, etc. The University has formed a number of strong R&D teams to consolidate, promote and diversify various R&D projects. The number of ISI journal articles has been increased in Biotechnology, Mathematics, Physics, Electronic Engineering & Telecommunication, Computer Science & Engineering, Biomedical Engineering, Industrial & Systems Engineering, and Civil Engineering. The University has achieved quality R&D performance at an average ratio of 0.8 ISI journal articles for each PhD holder. Signed MOA, MOU with 6 provinces. 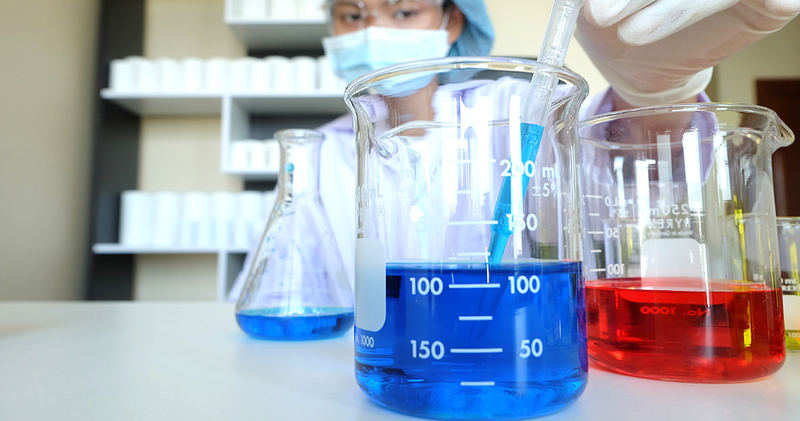 Approved R&D grants of a total 13 billion VND till the year of 2016, of which 9.5 billion VND granted in 2015. In particular, Intelligent Transportation Systems (ITS) has been piloted for Ho Chi Minh City on Vo Van Kiet Street and Thu Thiem Tunnel in 2015. Collective Awards on Annual Excellent R&D Publications granted by VNU-HCM. Individual Awards on Annual Excellent R&D Publications granted by VNU-HCM. Golden Cup on Science & Technology granted by Ministry of Science and Technology (MOST) at Techmart in 2012. “Women in Science – International Rising Talents” Awards granted by L’Oreal-UNESCO Foundation in 2015 and 2016. “Mathematical Work Award” of the “National Program for Development of Mathematics over the period 2010-2020” granted by MOET in 2012. Golden Globe Awards granted by Ho Chi Minh Communist Youth Union and MOST in 2013 and 2016. “Excellent Student Research Award” granted by VNU-HCM in 2015: 8 prizes, accounting for 33% of the total number of prizes. First prize of “Young Achiever’s Safe Food Ingredient Award” granted by Vietnam Association of Food Science and Technology (VAFoST) in 2016. Second prize of “Excellent Student Research Award” granted by VNU-HCM in 2016. Third prize of “Student Research Award” granted by MOET in 2016. 02 Third prizes and 02 Consolation prizes of “Excellent Student Research Award” granted by VNU-HCM in 2017. First prize of “Student Research Award” granted by MOET in 2017. 02 prizes of “ICT Award. Group 6: Students have excellent research and academic performance” granted by the Department of Information and Communications of HCM City in 2017. Consolation prize of “Olympic Contest of Econometrics and Application” granted by Vietnam Student Association and Financial Academy in 2017. 02 prizes of “Honda Y-E-S (Young Engineer and Scientist’s) Award” granted by Honda Foundation, Japan in 2017. “ASEAN – U.S. Science Prize for Women” granted by USAID, ASEAN and UL company in 2017.